10 Orange Lehengas that prove 'Orange is the New Red' when it comes to Bridal Lehengas! Orange is definitely the new red when it comes to bridal lehengas. Orange lehengas have been trending this wedding season and how! One of the reasons why orange is such a fad these days is because it suits Indian skin tones perfectly and makes the bride look radiant. Secondly, it’s orange; hard to miss such a vibrant colour, right? If you too are looking to opt for an orange lehenga choli for your wedding or pre-wedding functions, then here are some ah-mazing ones that will steal your heart just like they did ours! 3. Gota Patti never goes wrong with any colour, does it? 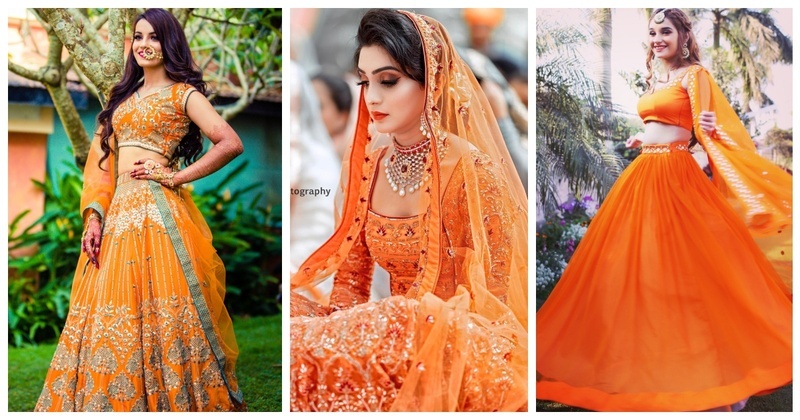 So, which orange lehenga are you planning to wear for your wedding? Image Source - Pinterest unless specified.